Hat: H&M. T-Shirt: Trouve. Sunglasses: Ray-Ban. Purse: Rebecca Minkoff. 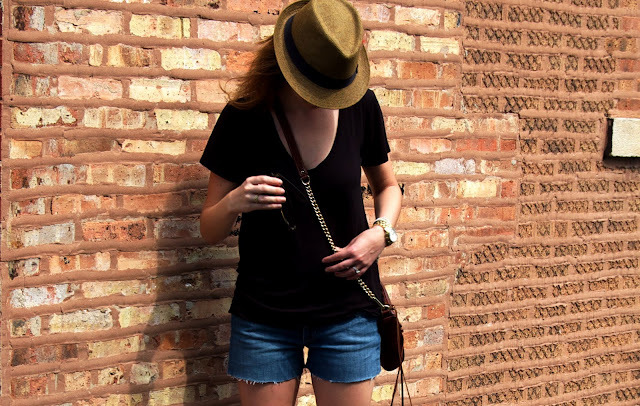 Shorts: DIY Cutoffs- Joes Jeans. Sandals: Zara. Watch: Michael Kors. Rt Hand Rings: Melinda Maria. Saturday included what has become a monthly tradition, shopping at the Randolph Street Market. I love this monthly market - overwhelming and utterly amazing! So many treasures and trinkets to be found! I met up with Audrey, Danielle, Lesley, and Alania - of course you know we had a good time! Afterwards we had lunch and chatted it up! Made for a wonderful Saturday afternoon!!! A big thank you to Miss Audrey for snapping these pics! And a bunch of clutches have been listed!!!! CUTE! all about a casual saturday and love fun markets like this. Good to see you- hope you found the perfect home for your new tray! gorgeous pictures! i love the coloring. i can't wait to plan another trip to chicago and hit up randolph market. sounds like a blast! You look so cute, Taylor! I love your shorts; they're fantastic. 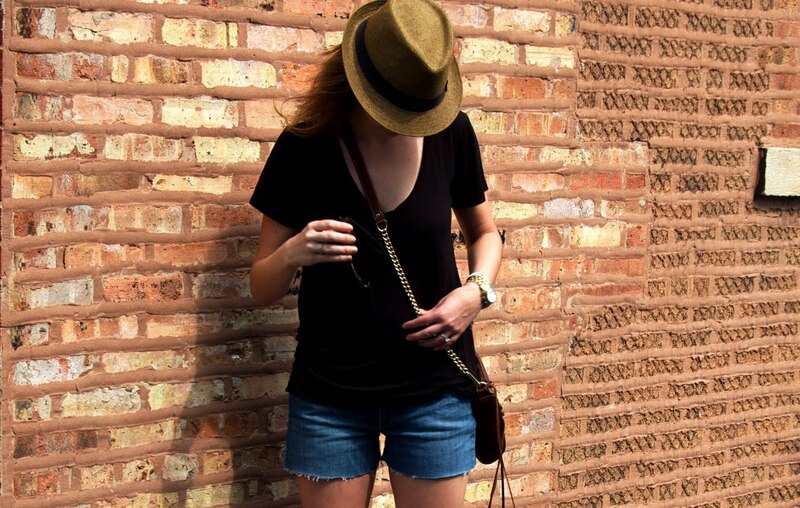 perfect summer casual look! fantastic bag! I love casual outfits as much as I love dressy ones. You look darling! Very cute! Sounds like a fun weekend.